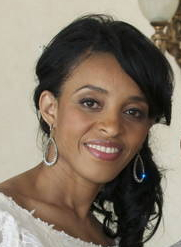 Founder - Dance Klinique Inc.
Pamela Davidson began dancing at the age of nine. A native of St. Michaels, Barbados, Pamela received her early training at the Barbados Dance Theatre. Her central career began at Erasmus High School for Performing Arts in Brooklyn, New York, where she studied dance and received accolades as an exceptional performer. The alum of The Alvin Ailey and The Martha Graham Dance summer workshops, she has spent the past 20+ years studying and perfecting her craft. Mrs. Davidson states The Creative Outlet Dance Theatre of Brooklyn as her most influential training under the mentorship of renowned Founder and Artistic Director, Jamel Gaines. Pamela has also danced for productions “He Got Up”, “The Maafa Suite” and “Black Nativity”, which are performed annually at St. Paul’s Community Baptist Church in Brooklyn and choreographed by Mr.Gaines. Throughout her training and career, Jamel Gaines has remained a constant support and mentor instilling artistic, professional and personal qualities in Pamela that resonates through her Teaching. With all of her accomplishments, Pamela was most excited about her role as Dance Ministry Leader at Morning Star Baptist Church in Catonsville, Maryland, under the mentorship of Senior Pastor Dwayne C. Debnam. Pamela Davidson continues to stay dedicated and committed to promoting the significance of the arts keeping it alive through dance.